The village of Safi, or Ħal Safi, situated in the southern part of Malta, is the home to 2,200 inhabitants. 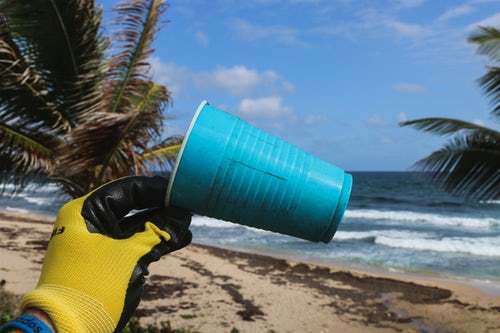 The origin of its name is uncertain. Probably, it derived from the fresh, pure (safi) air that surrounds the village. Others insisted that the village was named Safi since none of its residents were contaminated when an epidemic disease (Plague - Black Death) infected the whole country in 1676. However, the name is much older than that: it is found in the Militia List of 1419-20. Modern researchers believe it originated in Norman times as the proper name of a feudal landlord: Casal Yusafi. A similar name existed in Sicily. Both its coat of arms (a horizontal light-blue stripe on a silver background) and its motto “Sine Macula” (without a blemish) emphasize the meaning of its name. Thousands of years ago, the area which today hosts the village of Ħal Safi, was inhabited by Neolithic people; these were followed by the Phoenicians and the Romans. The birth of Safi village goes back to about seven hundred years. Farmers and peasants used to meet at a crossroad leading to some three or four neighbouring villages and stop for a chat on their way back home from work. It is commonly assumed that a niche was soon erected there, and as people started to settle in the vicinity, a new village began to take shape. There is documented evidence which shows that Safi village already existed in 1417. According to the 1419 records of the Standing Army, between eighty and ninety people were considered as village residents. 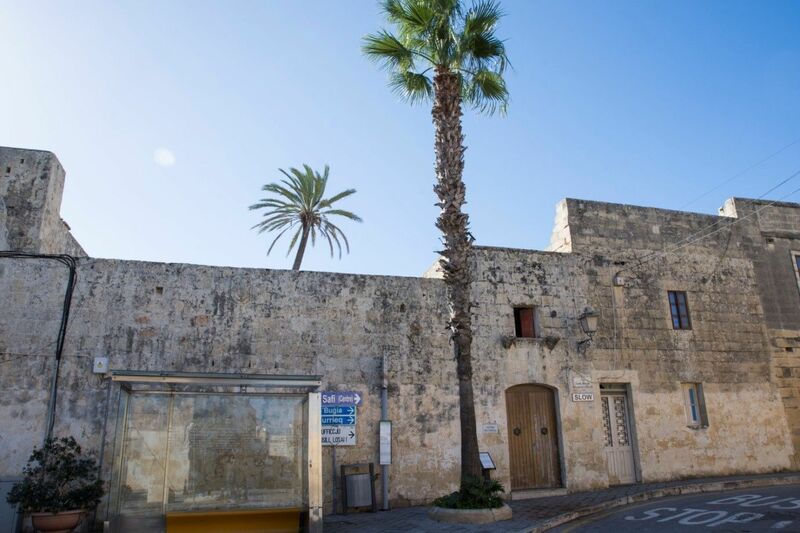 The origins of Ħal Safi go back to a rich farming heritage, where the people depended mainly on agriculture and the breeding of goats and sheep for a living. Nowadays, farming has mostly become a hobby and a part-time pursuit. For several years Ħal Safi formed part of Bir Miftuħ. However, the residents were not satisfied with this, mostly because of the distance between the two villages. Instead they wished to at least form part of Żurrieq, which was much nearer. In 1575 when Monsignor Dusina visited Ħal Safi, the residents put their wish forward but nothing came out of it. At last, in 1592, Bishop Gargallo decided to separate Ħal Safi, Imqabba and Ħal Kirkop from Bir Miftuħ. He amalgamated the three villages into one Parish. 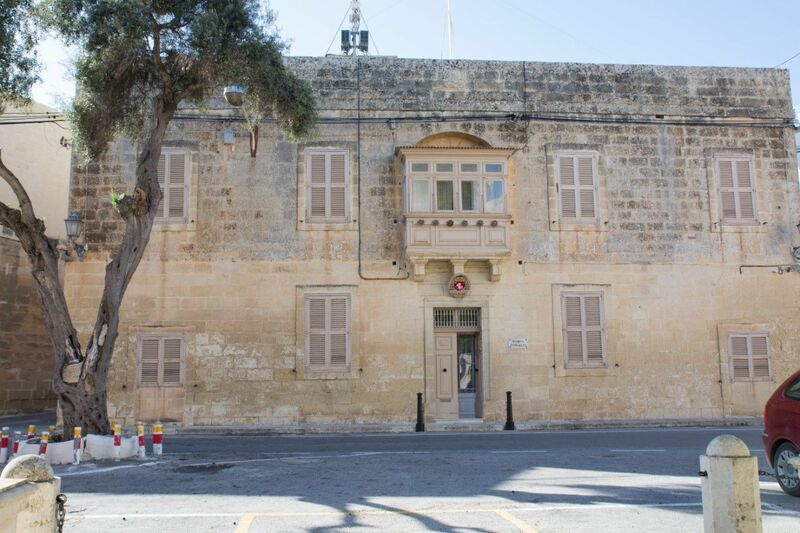 Ħal Safi residents were still not satisfied because they had to walk long distances when visiting the church dedicated to Saint James at Ħal Kirkop for the celebration of sacraments such as Holy Communion and Funerals. In 1598, a delegation of twelve men from Ħal Safi paid a visit to Bishop Gargallo. 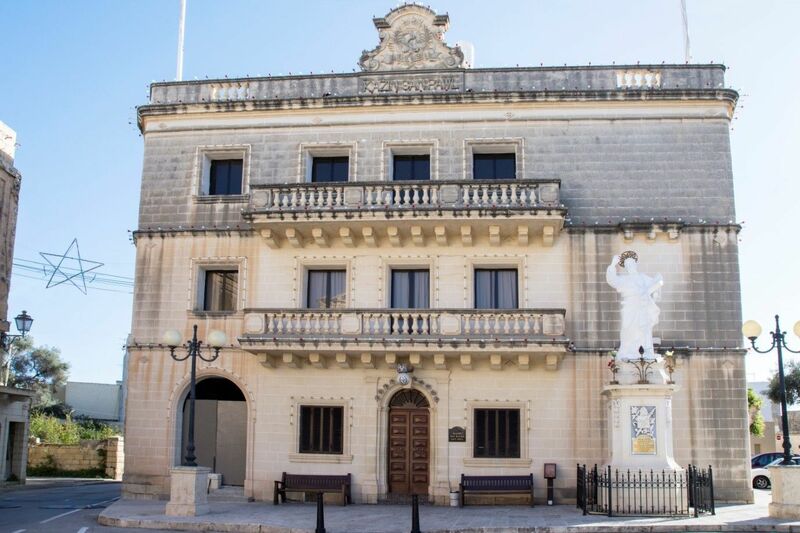 In the name of all Ħal Safi residents, they filed a petition requesting that the village of 210 residents become a Parish. 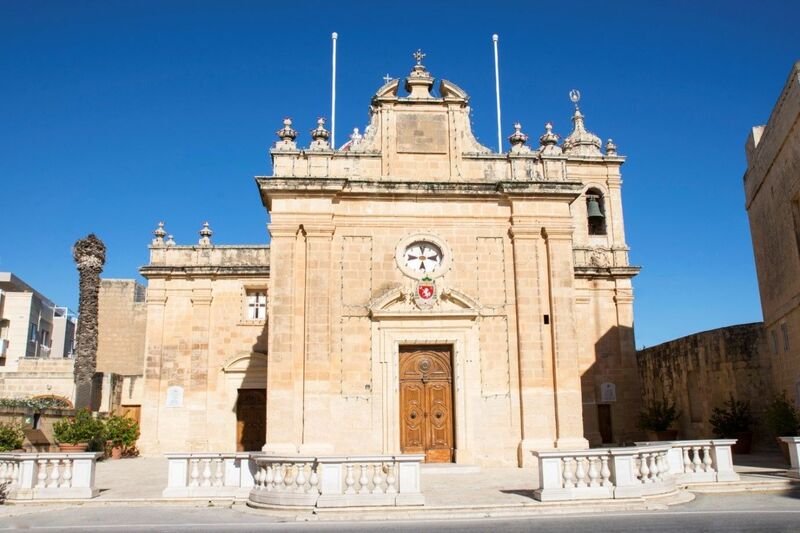 This time the Bishop accepted their request and in 13 April 1598 Bishop T. Gargallo agreed to appoint Ħal Safi an independent parish. This important date became significant for the Safi residents and in fact every year the Local Council organise many activities to commemorate this important event. When Safi Parish was formed, it was dedicated to the Apostle St. Paul, with a special emphasis being put on his conversion. The largest church in the village, dedicated to St. Paul, was chosen to serve as a Parish Church. Every year, the Ħalsafin celebrate the feast of St. Paul. Up until 1959, the feast used to be held on January 25th, but in 1960, in order to avoid inclement weather, the feast was transferred to the last Sunday in August. Celebrations include religious services, band marches, fireworks, decorations, lights, and the procession with the statue of St. Paul. Passing through Ħal Safi one can remark the quietness where the empty tranquil roads are often associated to the quiet and small villages of the small island of Gozo which is Malta’s sister island. The village of Ħal Safi is situated in the Southern part of Malta, bordering with the villages of Kirkop and Zurrieq. The village has a population of around 2,200 inhabitants and an area of 2.3 square km which makes it one of the smallest villages in Malta. 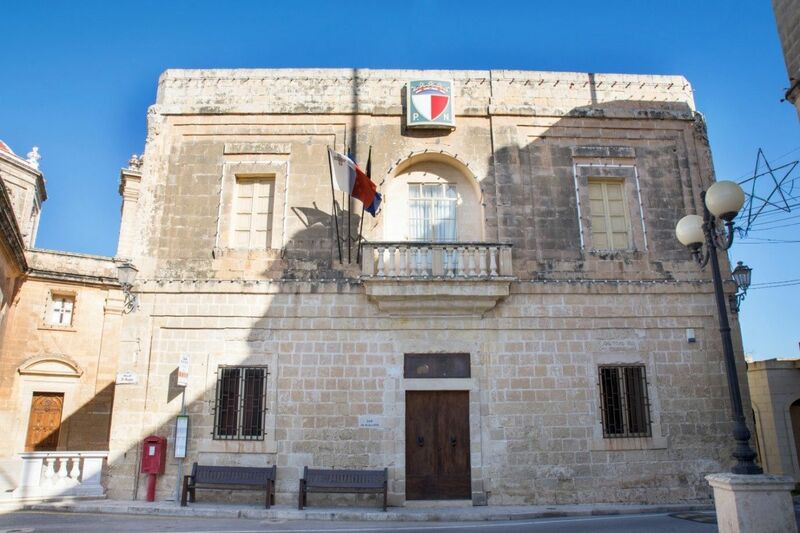 The Local Council of Ħal Safi comprises of five Councillors including the Mayor, who is the head of the Council, and the Vice-Mayor. As regards to the administrative part, there is the Executive Secretary, who is the head of the administrative arm of the Council, and another two clerks. The Mayor presides the meetings of the Council and, together with the Executive Secretary, they are the legal and judicial representatives of the Council. Historically, the economy of Ħal Safi depended mainly on farming and agriculture. Nowadays, this has changed since farming has become a hobby or a part-time pursuit with most of the farmers growing potato mainly for domestic consumption. Nonetheless, Safi still has a local entrepreneur who exports Maltese potato overseas. However, since part of the runway of the Malta airport is situated in the outskirts of the village, the aviation industry has today become its main economic activity. In the last years the aviation industry has rapidly expanded and, in fact, a few years ago the Safi Aviation Park was built in the periphery of the village. The aviation park today hosts the hangars of two aviation companies, Medavia and SR Technics, both of them contributing to employment. The Ħal Safi parish church, dedicated to the Conversion of St.Paul was built on the initiative of Parish Priest Guzeppi Caruana. Construction work started in 1727 and was completed in 1744. This Doric style church comprises 8 altars, a dome and a steeple. The church was consecrated on the 10th of October 1784 by Bishop V. Labini. 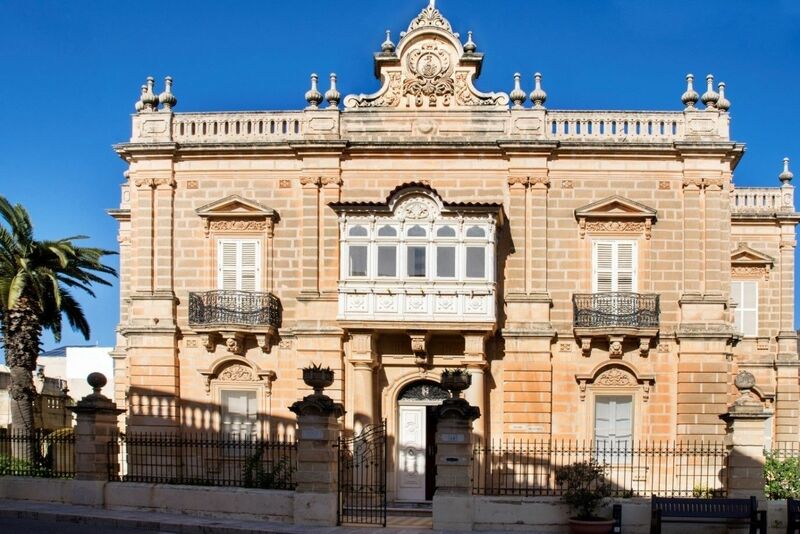 Situated on the right hand side of the Parish Church, the construction of Villino Vella was built in a Doric and ionic style, completed in 1926. The villa was the residence of Dun Gwann Vella who was at that time the parish priest of Ħal Safi. After his demise the villa was donated to the Domican nuns to use it as their convent. For several years, a small part of this villa was used by the nuns as a kindergarten. During World War 2 the Villa and parts of the adjacent church were damaged by enemy bombs. In front of the Villa there is an opening to a 2nd world war shelter containing a total of 13 rooms and covering an area of 218 square metres. Back to back with St. Paul's club there is Gollcher Palace. Originally this construction, erected during the times of the Knights of St.John, belonged to the Gollcher family. Today, this building has been bought by the St. Paul’s Band Club. A small part of it is being used as a Police Station. In the small square, adjacent to the Stone Cross and Gollcher Palace, the original church was already in existence prior to the Great Siege of 1565. It was rebuilt and construction works on the present church were completed in 1764. Every year the feast of the Assumption used to be celebrated in it. Today, it is open daily for spiritual meditation. Situated near Ta’ Amparell area, further down St. George’s Street, there is Ball’s Garden. This garden is one of the many gardens built in Malta by the Knights of St. John. The garden used to be one of Sir Alexander Ball’s favourite gardens, particularly during his summer visits. This was when he was Civil Commissioner of Malta after the French had been expelled. The Roman wall in Zurrieq Road is situated in an area renowned for Neolithic, Phoenician and Roman remains. In all probability, these large stone blocks once formed part of a rural Roman villa or farm. Dating back to approximately the 3rd - 4th Century AD, these catacombs are still not fully excavated, but there are strong indications that they served as catacombs to an early group of Christians who lived in the early centuries of Christian Malta. The catacombs consist of complex tombs and small catacombs. Some of the tombs have ornamental rock-cut pilasters decorating their entrances. Parts of these catacombs were first discovered in 1926 and 1936 when service trenching works were being carried out in the area. Near the police station there is a stone Cross which was erected in the 17th century. There was a time when the Dejma soldiers used to gather there and from the same spot important edicts were read out to the people. Situated in St. Joseph Square, this building was built by the Knights of St. John and served as a fortress. During the years, it served as a home to several families, till eventually it was converted into a Youth Centre. Nowadays it serves as a Parish Centre. In its internal yard there is a tall, old palm tree which is a prominent feature of this building. The film Reilly: Ace of Spies was partly filmed here in 1982. On the left hand side of the Parish Church there is a palace which was built during the times of the Knights of St.John. Today, it is used as a political club. Across the road from St.Mary's chapel is the Domus Curialis which is the residence of the Parish Priest. This house was built on land donated by Grand Master Wignacourt. Among the fields between Ħal Safi and Ħal Far there is Ta’ Ġawhar Tower which was erected by the Romans as part of a line defence. Unfortunately this tower was destroyed by fire. In Church Square there is St. Paul's Club which was founded in 1929. The present club premises were built in 1989. The St. Paul’s Band was also founded in 1989. In front and to the side of the club there is a big stone Statue of St. Paul erected in 1776. 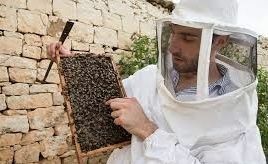 Bee-keeping is considered as part of the cultural traditions of Ħal Safi. In fact, in Sir Alexander Ball’s garden there is a room in which Sir Alexander Ball himself used to nurture bees. Nowadays, in order to maintain this tradition, the local council has entered into an agreement with a local bee-keeper who is nurturing bees in this same garden and also provides information regarding this tradition to the visitors of the garden.